Rufus Stone Limited Editions is delighted to announce the publication of the first ever Official Whi..
ONLY 1000 COPIES OF THIS EDITION WORLDWIDE. 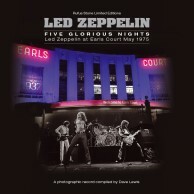 Five Glorious Nights – Led Zeppelin at Ear..
BLACK ARTISTE COPIES. 2 ONLY! 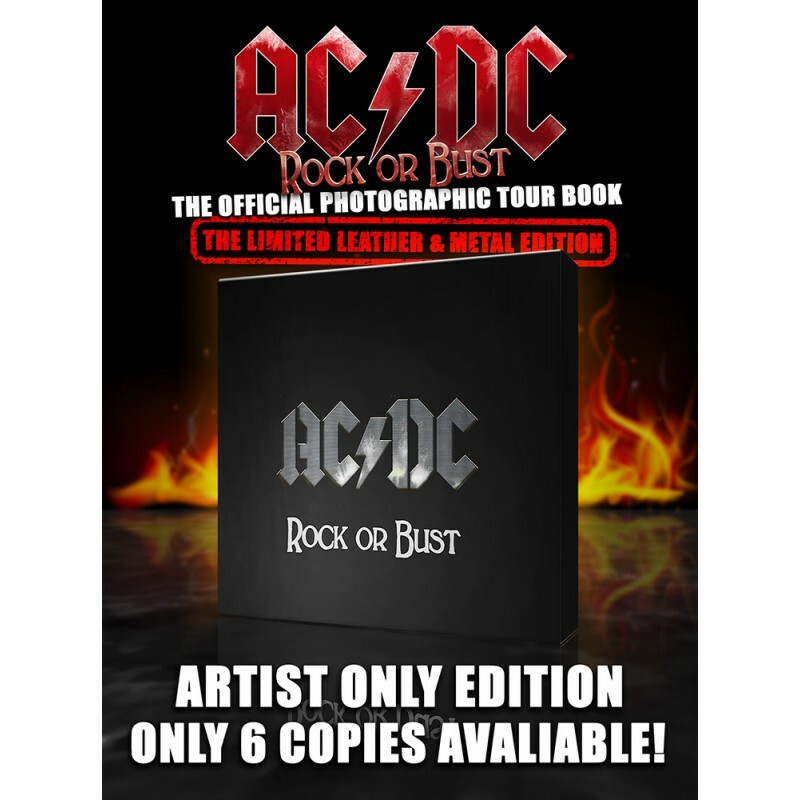 THE FIRST OFFICIAL AC/DC BOOK with an introduction by Angus Young. Customers who pre-order before August 18th 2017 qualify to have your name printed in the book and receive a £20 discount plus FREE worldwide shipping (worth up to £40) on release. 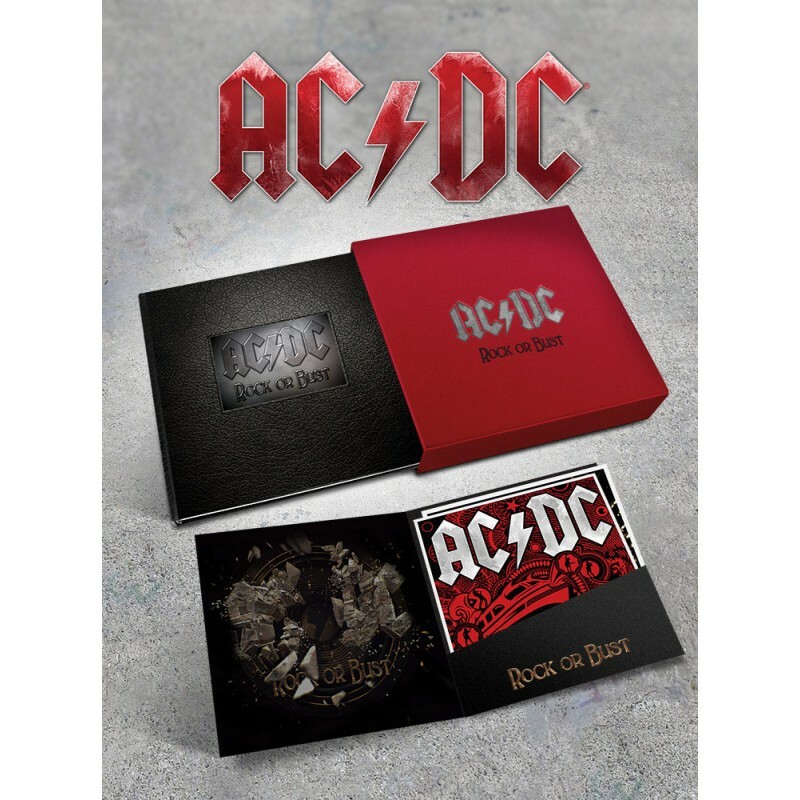 This limited, numbered edition comes in a deep red metal slipcase, with die cut AC/DC logo. The book is bound in recycled black leather and features a specially created embossed pewter logo. 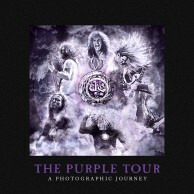 Each copy is indivdually numbered and ships with a set of AC/DC album cover art prints unique to this edition. The whole pacakage weighs around 6 kilos. 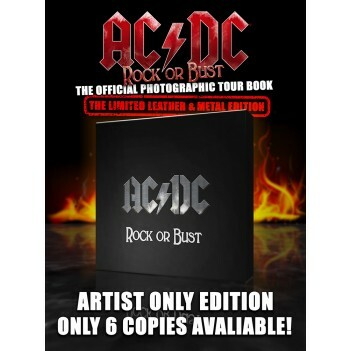 The Rock or Bust Tour Book 2015 covers the full extent of AC/DC’s groundbreaking 2015 world tour supporting the multi-million selling Rock or Bust album released in 2014. Starting in Coachella the Rock or Bust tour has played to millions of fans around the world, setting records for attendance and sell out times. It is also the last tour to feature legendary vocalist Brian Johnson. 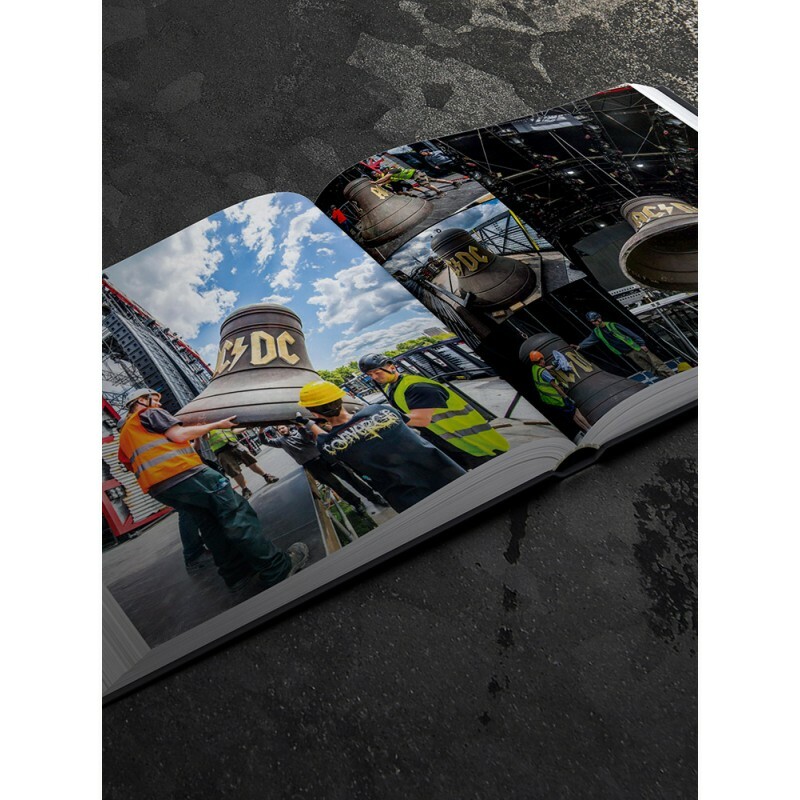 Renowned music photographer Ralph Larmann has captured AC/DC throughout this incredible tour, creating an amazing photographic documentary of the band and fans in action. This 300mm square coffee table book has been produced in conjunction with the band and features an introduction by Angus Young. 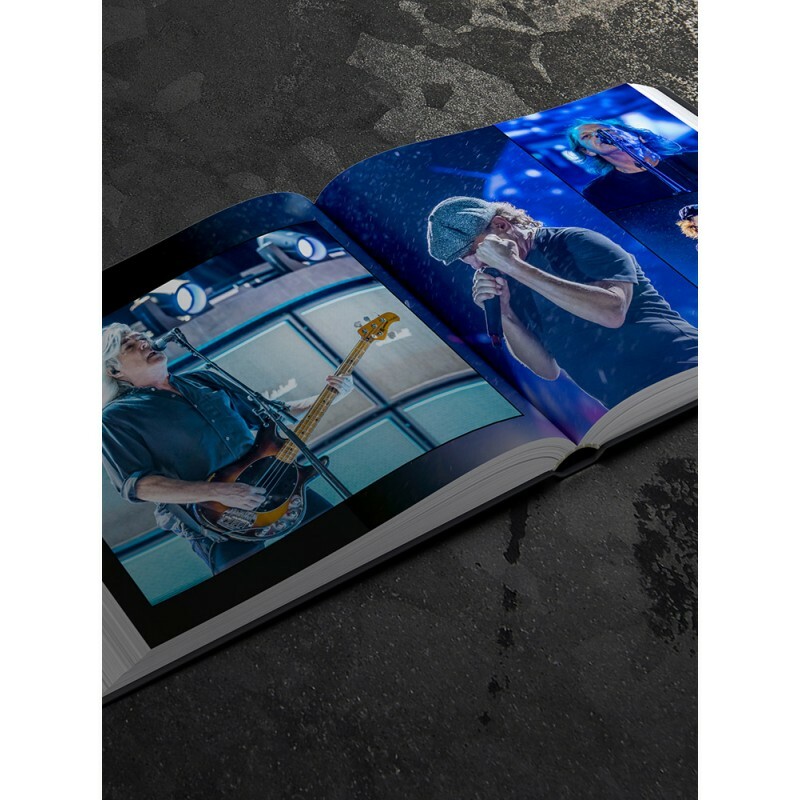 Printed on 170gsm art paper and with 264 pages in full colour, this coffee table book features hundreds of behind the scenes images and live action shots of key dates on the 2015 tour tour, finishing in Australia in December. Artprints A set of AC/DC covers, printed at 300mm square and presented on high quality art paper. Suitable for framing and unique to this edition. Cover materials Hard back book, 2500 micron greyboard with black recycled leather. Pweter embossed AC/DC logo. Slipcase Red, aluminium welded slipcase with die cut AC/DC logo. Our books are unique. 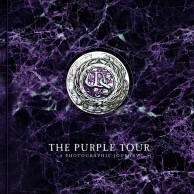 They are not available from shops (unless we say so) and they are designed, printed and bounded in the United Kingdom. Above all, they are made with PASSION! We are a group of creative thinkers, working together to create a new publishing venture specialising in producing the best quality products that both fans and artiste would be proud to own. It's that simple.! Copyright © 2018, Rufus Stone Limited Editions Ltd. All Rights Reserved.